133 Skyway (2006, 22 min.) is a visceral reflection of urban homelessness, survival and friendship. Derek Miller plays Hartley, a homeless man trying to get his guitar out of hock. As his health fails, Hartley relies on a troubled friend and the kindness of a lonely pawnshop employee. The film won Best Narrative Short at the 2008 Fargo International Film Festival. 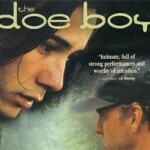 The Doe Boy (2001, 83 minutes) The Doe Boy tells the story of Hunter, a half Cherokee cursed with the unfortunate affliction of hemophilia, a white man’s disease. Guarded by his overprotective mother, all he really wants is to be able to hunt like his father. On his first and only hunting trip, he mistakenly kills a doe, a major taboo that earns him the nickname “Doe Boy,” and the disappointment of his father. As he moves forward in life, his grandfather teaches him the importance between hunting and killing and gives him the courage to find the love he desperately seeks. Older Than America a film by Georgina Lightning. A woman’s haunting visions reveal a Catholic priest’s sinister plot to silence her mother from speaking the truth about the atrocities that occurred at Native American boarding school. A contemporary drama of suspense, Older Than America focuses on the lasting impact of the cultural genocide that occurred at such schools. Augsburg College, Century Room 1:30-3:00 p.m. Reception for Charlene Teters, Augsburg College, Science 116 5:00-6:00 p.m. In Whose Honor? 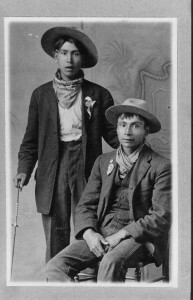 takes a critical look at the long-running practice of “honoring” American Indians as mascots and nicknames in sports. It follows the story of Native American mother Charlene Teters, and her transformation into the leader some are calling the “Rosa Parks of American Indians” as she struggles to protect her cultural symbols and identity. In Whose Honor? looks at the issues of racism, stereotypes, minority representation and the powerful effects of mass-media imagery, and the extent to which one university will go to defend and justify its mascot. Each year, we work with different Native community organizations and programs on special events. Because these events often happen after our seasonal programming has already been printed on our posters, we ask that you check this link periodically to see what new and exciting things are going on. 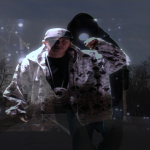 Indigenous Holocaust (Missy Whiteman, 2008)Indigenous Holocaust features Indigenous Hip hop artist Wahwahtay Benais’s and First Nations United. This music video is dedicated to the children who lived and died in boarding schools. 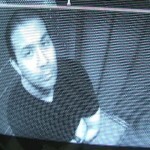 Lujan’s film is an autoethnography that examines an urban Indian’s relationship between popular representations of Native Americans and himself as a Native American. All events are free and open to the public. For a map of Augsburg’s campus, click here.